Buena Vida/TTT opens in Arlington with one of Mexico City’s top chefs at the helm (pictured: “Mexican diner” TTT). Photography by Evy Mages. You won’t find cheesy enchilada platters and bottomless brunch at Buena Vida/Tacos Tortas Tequila (TTT) in Arlington, a massive three-story Mexican eatery and rooftop bar that opens Monday. 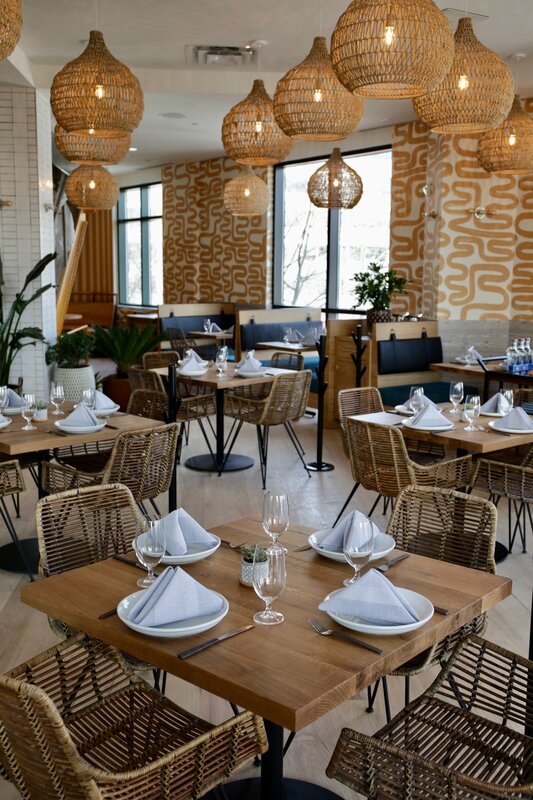 Though its name and dueling restaurant/cafe concept are similar to the flagship in Silver Spring, Ambar restaurateur Ivan Iricanin tapped one of Mexico City’s top chefs, Gerardo Vázquez Lugo, to design the food and train the team. The result, at least on paper, is more interesting and complex than much of what Washington’s recent taco boom has yielded. 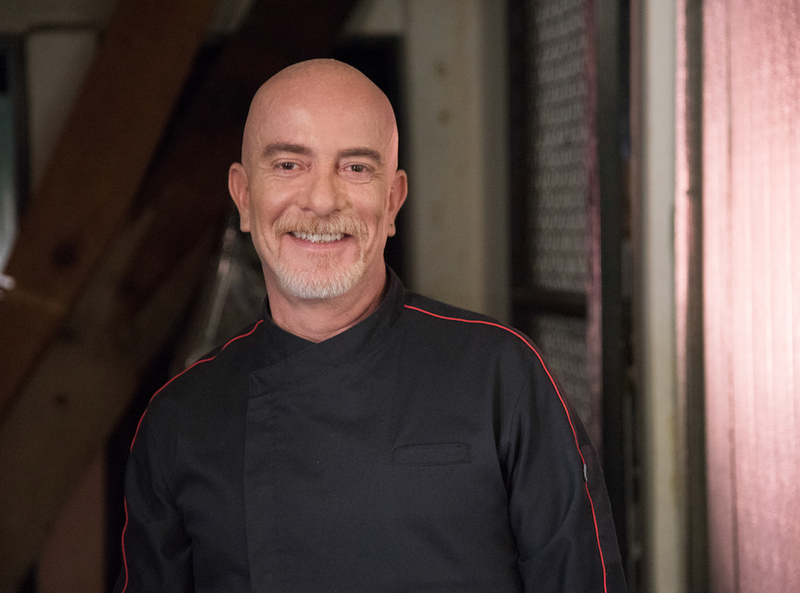 Chef Gerardo Vázquez Lugo of lauded Mexico City restaurant Nicos, a 62 year-old institution. Photograph courtesy of Buena Vida. Lugo’s parents opened Nicos, a traditional Mexico City cafe in an industrial neighborhood, over 60 years ago. He took over the restaurant kitchen in 1996, working alongside his mother to serve refined Mexican fare that borrows from both a Slow Food philosophy—Lugo helped spearhead the movement in Mexico—and modern techniques. (The restaurant currently ranks among Latin America’s 50 Best Restaurants on the annual San Pellegrino hot list). A local food guide led Iricanin there for lunch when he was researching menus for the second Buena Vida/TTT. The new location was initially intended to be another small plates concept with all-you-can-eat menus. But having Lugo sign on to the project—after much wooing—changed everything. Yucatan-style duck in red pumpkin sauce that’s wrapped in shaved zucchini. 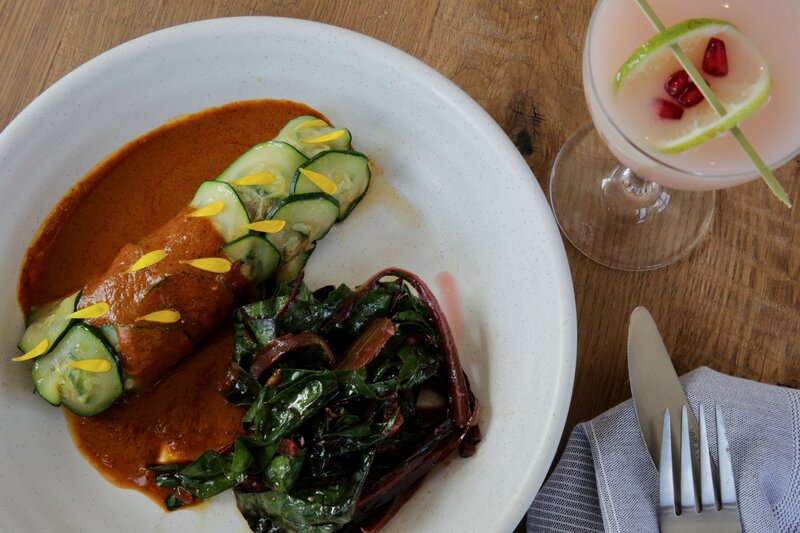 Many of the a la carte dishes on the dinner menu are rarely found around DC—think tequila-marinated, slow-cooked rabbit barbacoa, Yucatan-style duck wrapped in zucchini, or smoky vegetables mextlapique grilled in corn husks. The dishes are annotated with information about their origins and meaning (i.e. “bear soup,” actually a bear-free seafood stew nicknamed by workers building a dam). The second-floor bar at Buena Vida. A few Lugo family specialties have also migrated from Nicos, such as octopus in its ink with pickled yellow chilies or sopa di seco (“dry soup”) where Spanish vermicelli noodles soak up a chili-rich broth for a pasta-like dish. Similar to the Mexico City restaurant, roving carts will deliver made-to-order salsas, Caesar salad—the original kind from Caesar’s hotel in Tijuana—and tequilas and mezcals. In addition to ample agave drinks from beverage consultant Esteban Ordonez, the team is working on a tepache recipe (a fermented pineapple drink). Iricanin says they hope to build the largest Mexican wine list in the US. TTT, located below Buena Vida on the sidewalk-level, is what Iricanin calls a “Mexican diner” inspired by fondas, beloved mom-and-pop cafes of Mexico City. The casual 157-seat space—which includes a separate bar and roomy patio—will eventually open for breakfast through dinner (and possibly later with a taco takeout window). Lugo takes a from-scratch approach across kitchens, so you’ll find homemade corn and flour tortillas; fresh-baked torta rolls; and breakfast pastries. Crowd-pleasers join lesser-seen street eats such as tacos de guisados filled with homey stews and rice for soaking up the juices, as well as torta sandwiches stuffed with chile relleno or braised octopus. 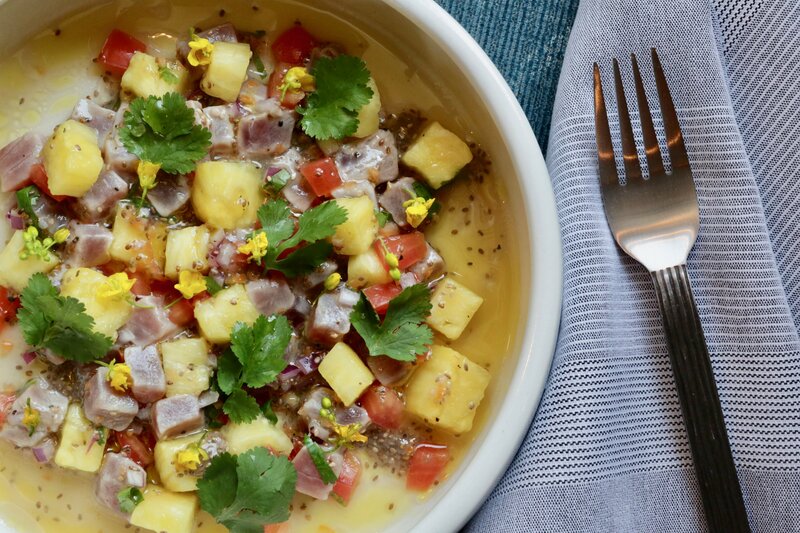 A raw bar menu at Buena Vida includes several styles of ceviche (pictured: tuna with fresh herbs). Both restaurants will be joined by a huge 150-seat rooftop in the coming weeks. 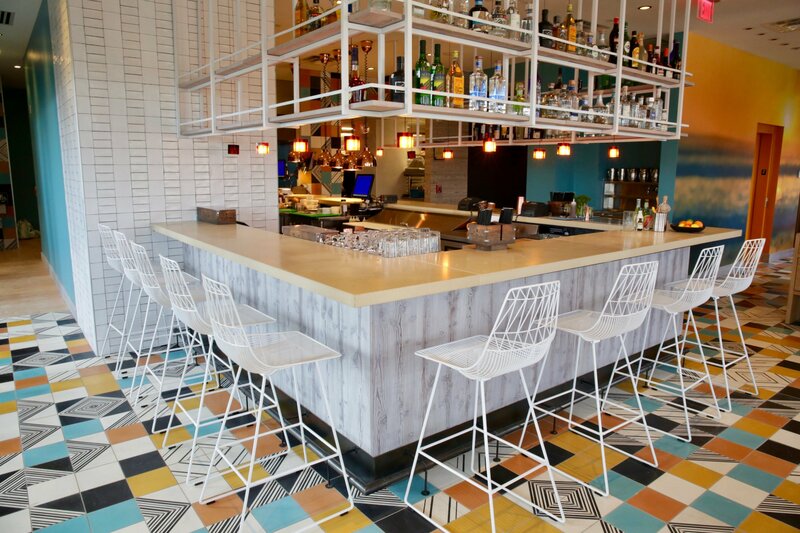 The design inspiration was 1950s Acapulco for a retro-tropical vibe. Menus are still in the works, but Lugo is thinking toward the ocean—maybe a build-your-own-ceviche bar or whole grilled fish. Definitely lots of margaritas and Mexican beers. And, Iricanin says, an outdoor hookah lounge. So is hookah big in Mexico City? Buena Vida/TTT Clarendon. 2900 Wilson Blvd.., Arlington; 703-888-1259. 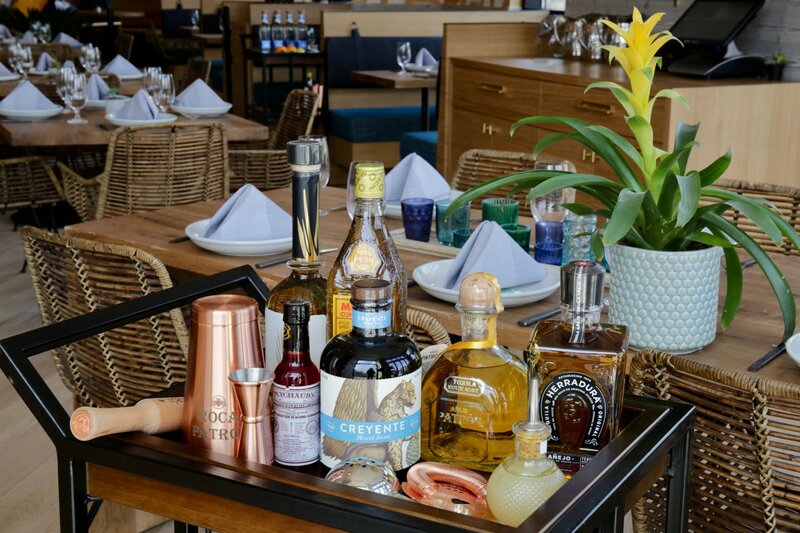 A cocktail cart loaded with tequilas and mezcals will roll around the dining room for table-side drinks.